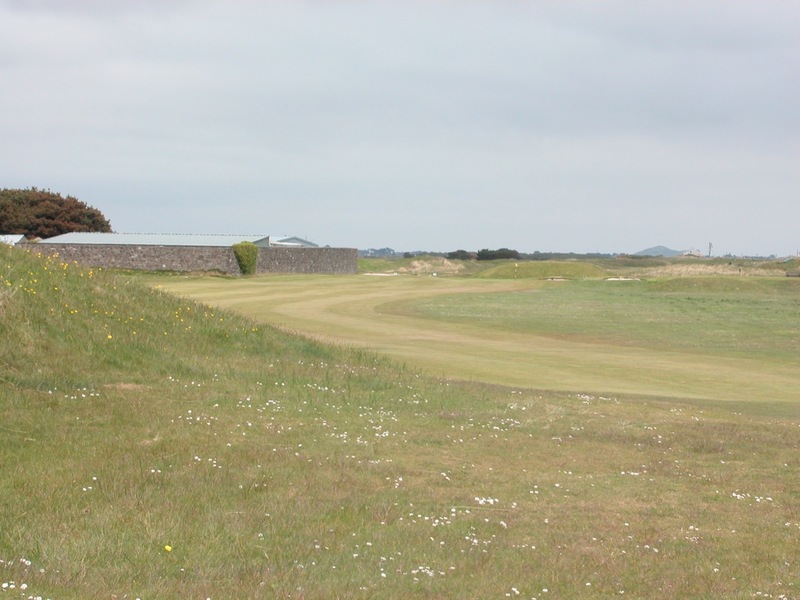 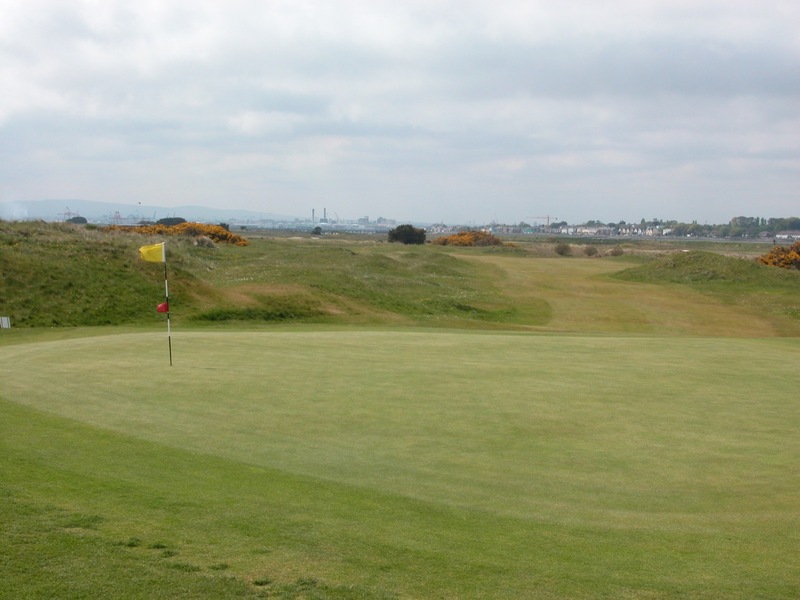 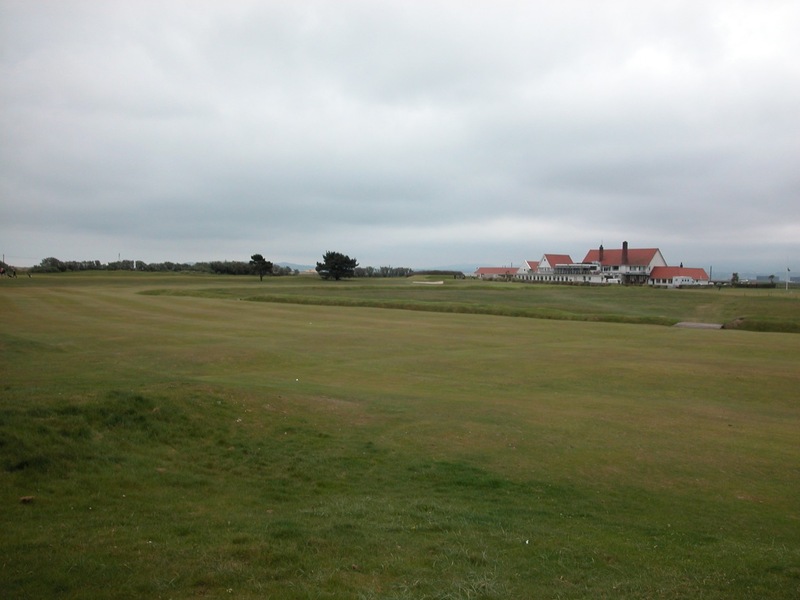 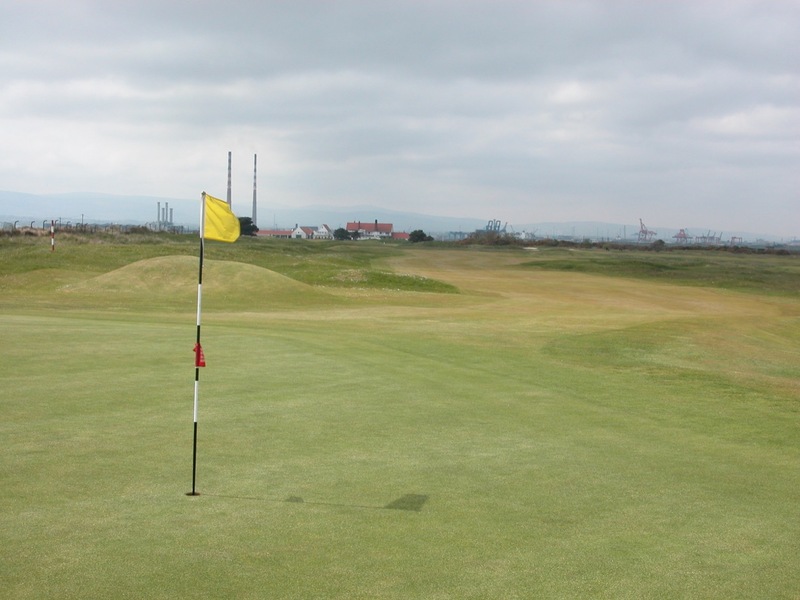 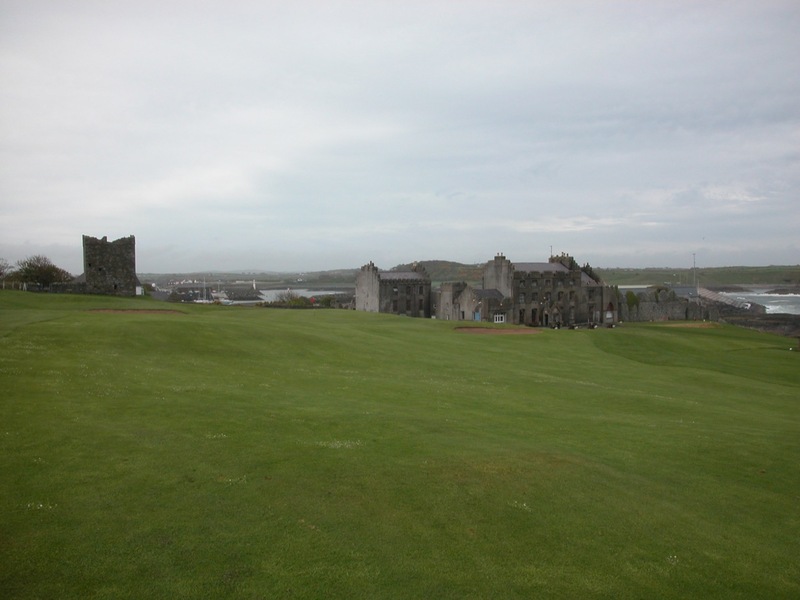 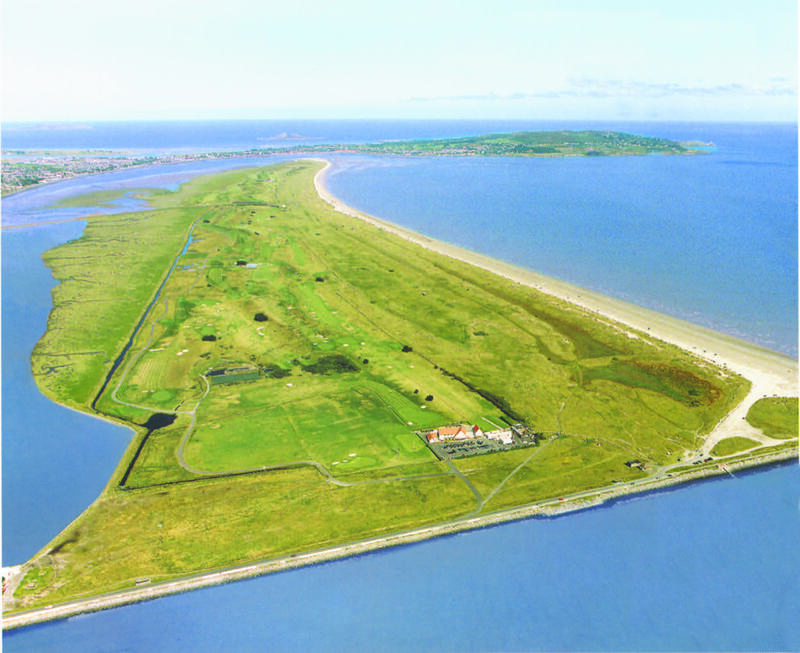 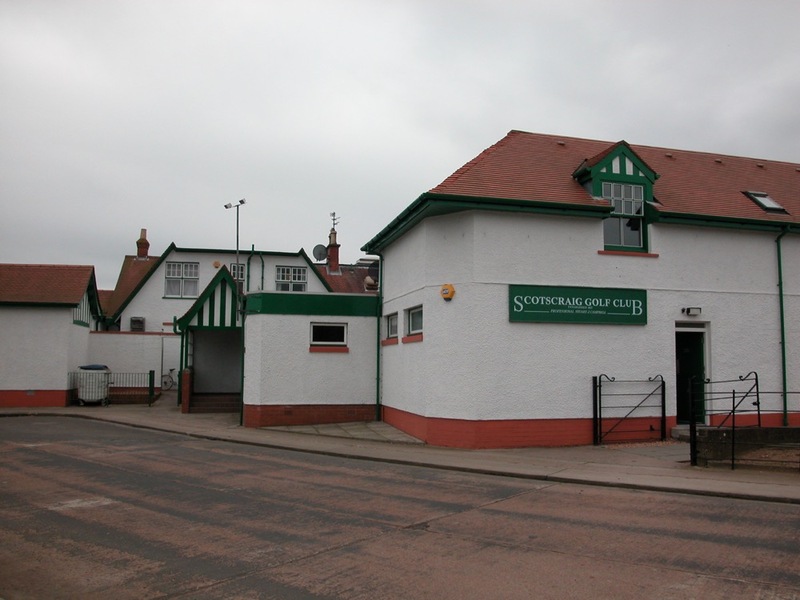 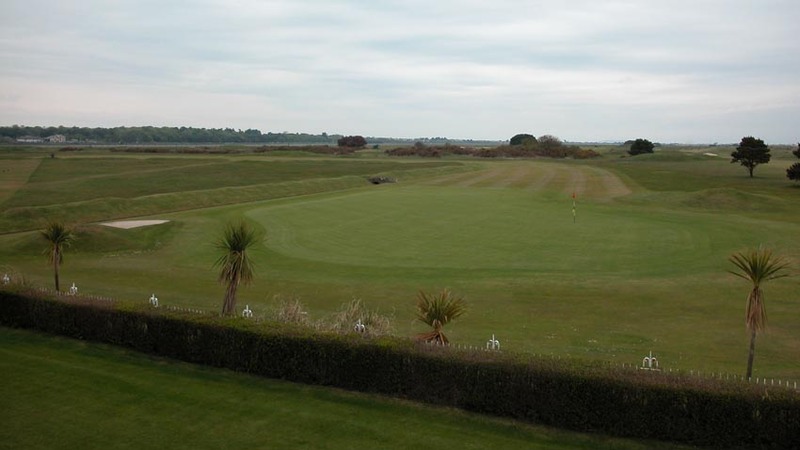 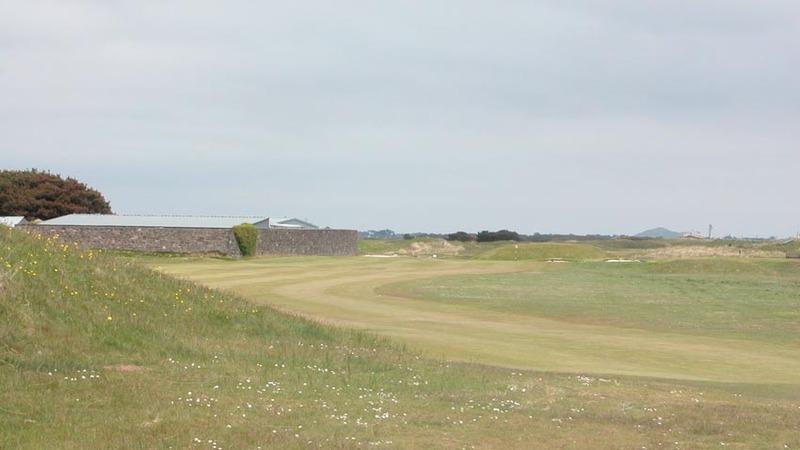 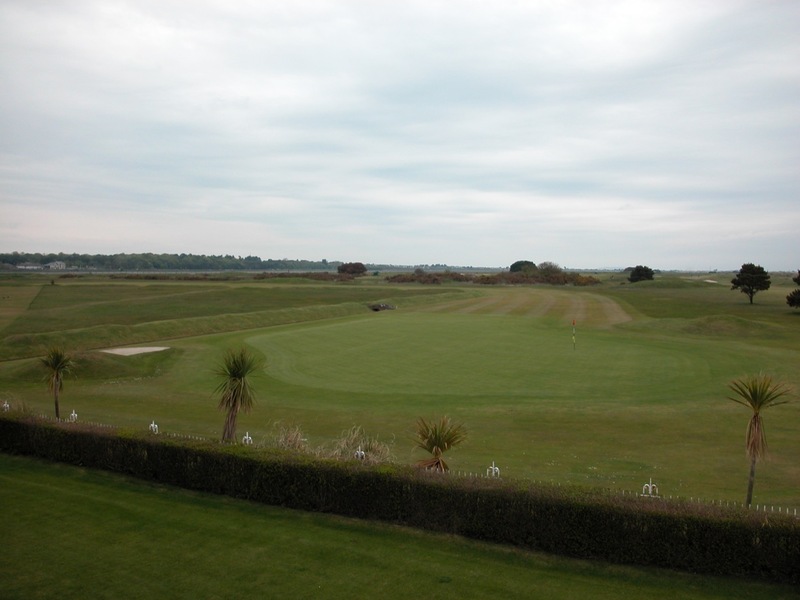 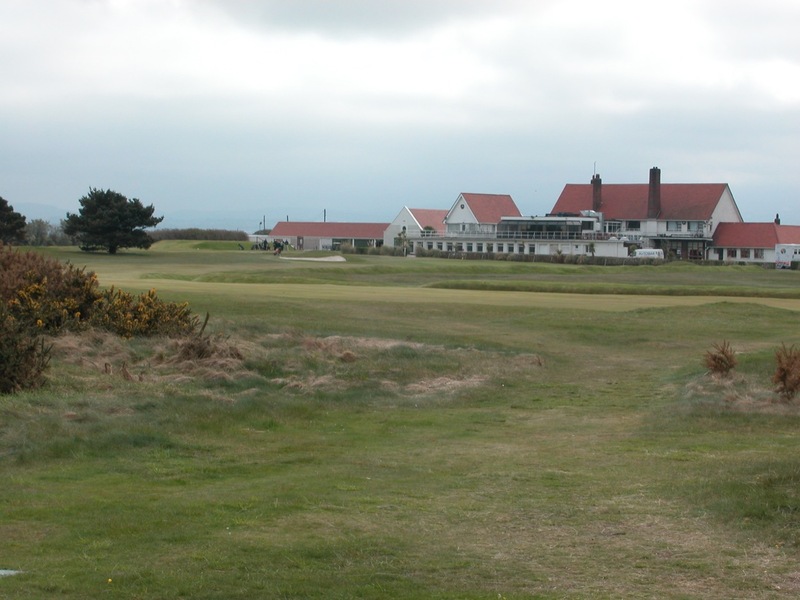 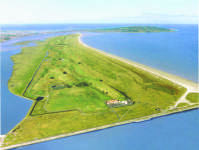 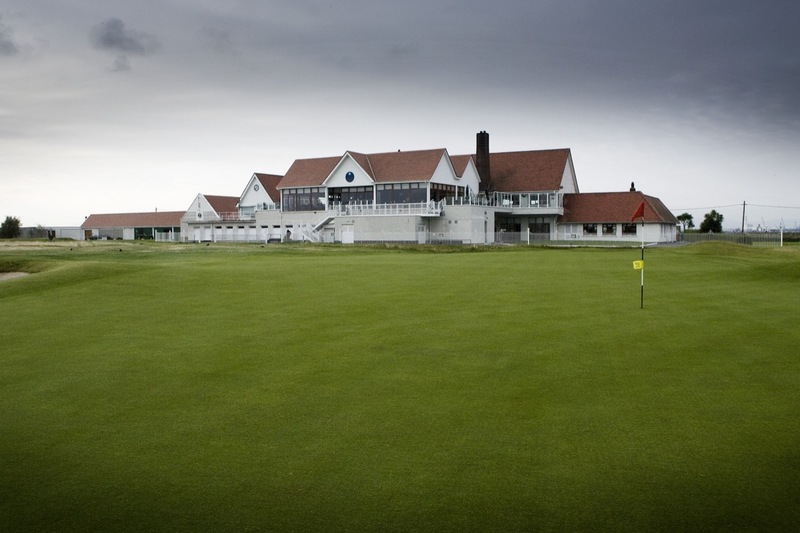 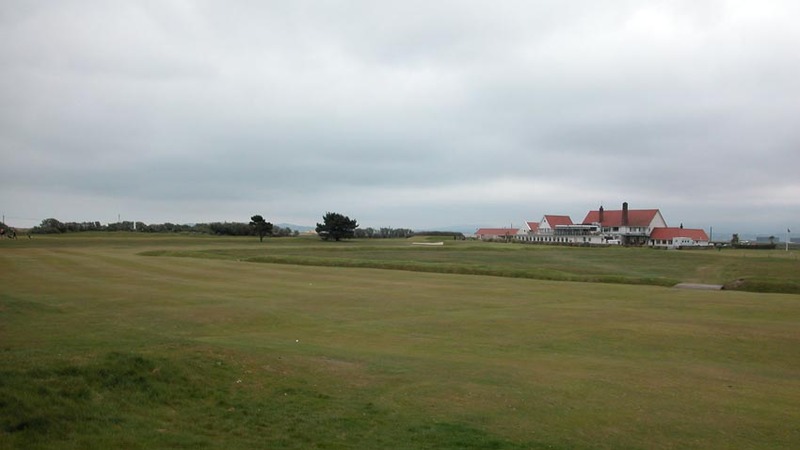 At Royal Dublin Golf Club out on Bull Island in Dublin Ireland, it may be possible to catch a glimpse of “Himself,” none other than the great Christy O’Connor, who can frequently be seen practicing somewhere out on the Royal Dublin links on most days. 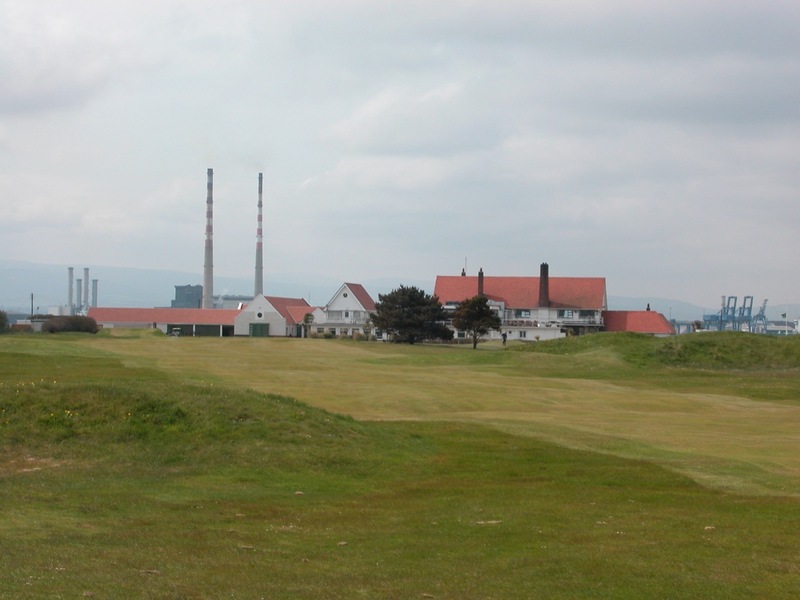 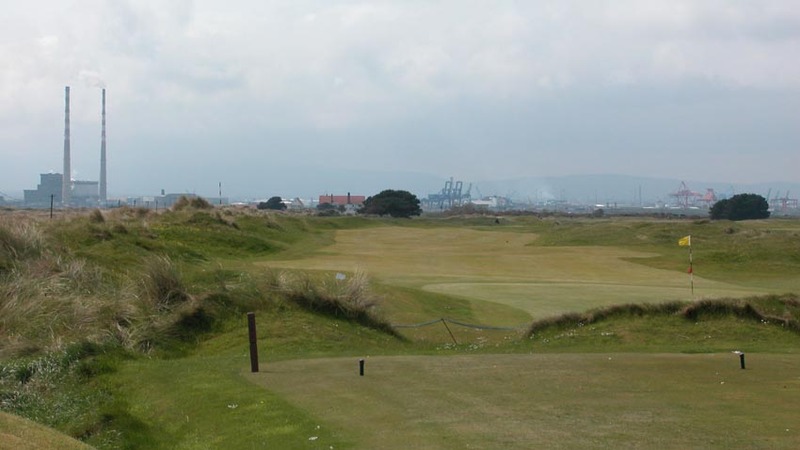 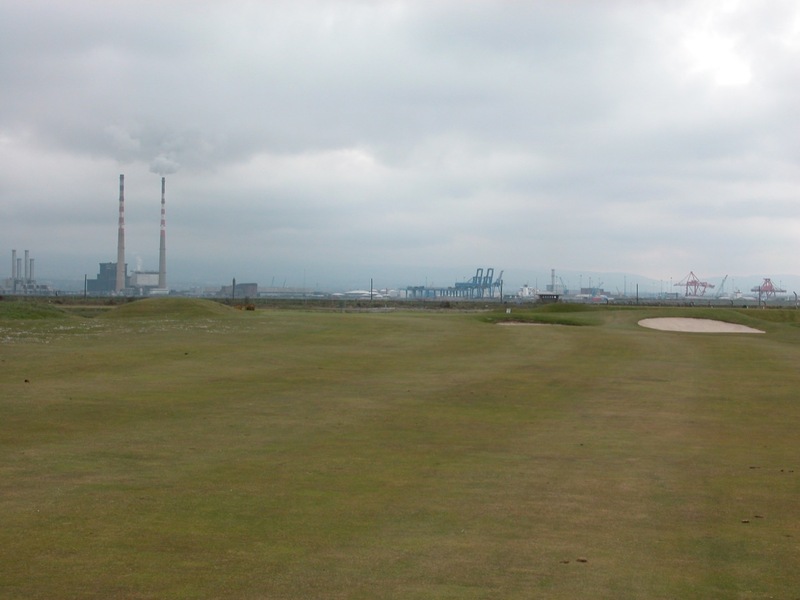 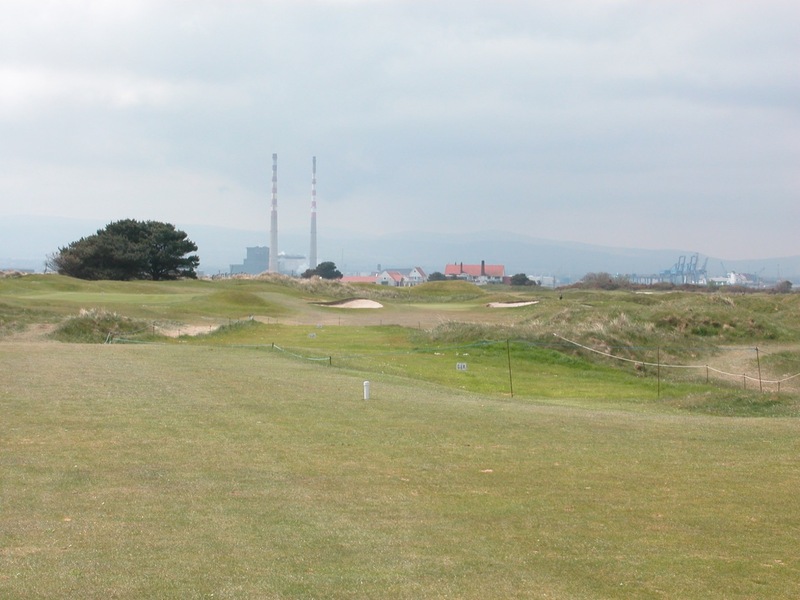 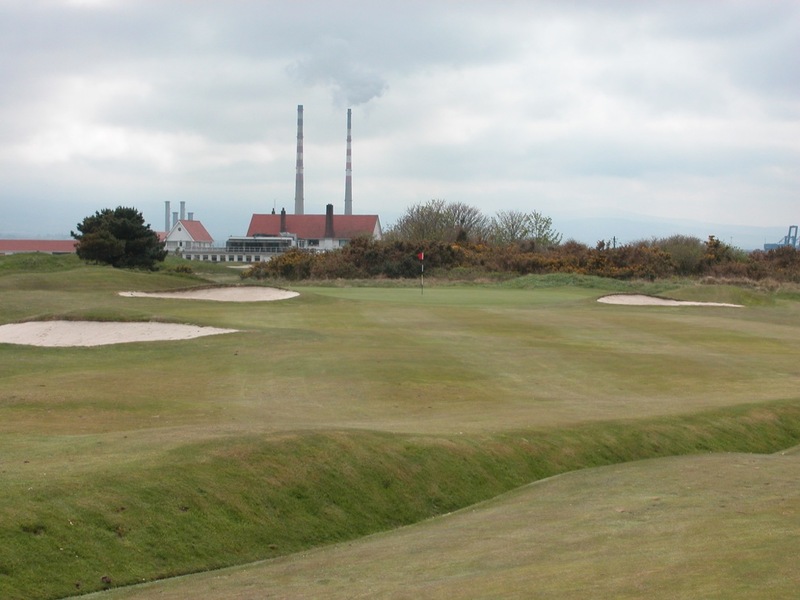 Set against one of golf’s most industrial backdrops, Royal Dublin Golf Club is an historic club, worthy of its honor as the only “Royal” club in the Republic of Ireland. 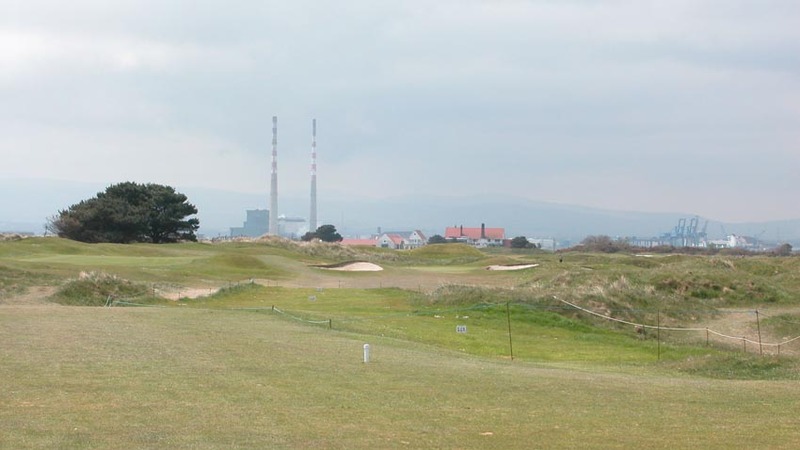 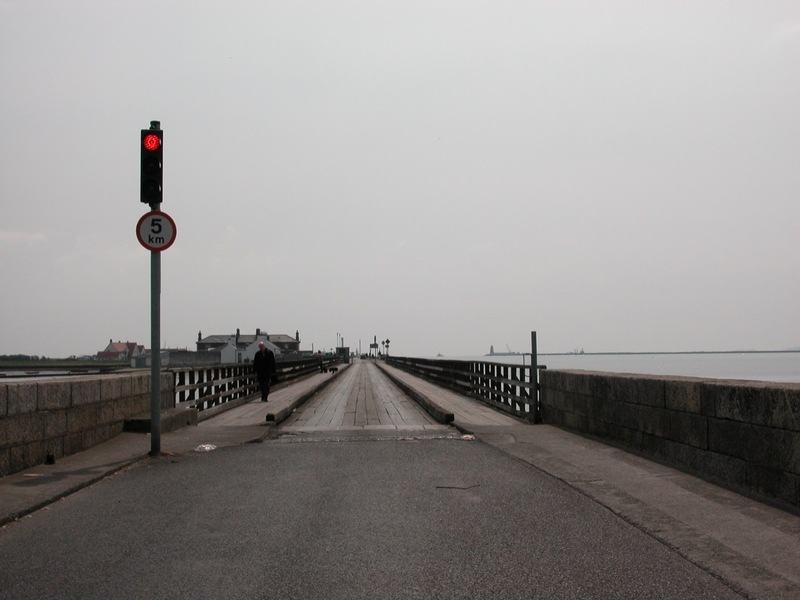 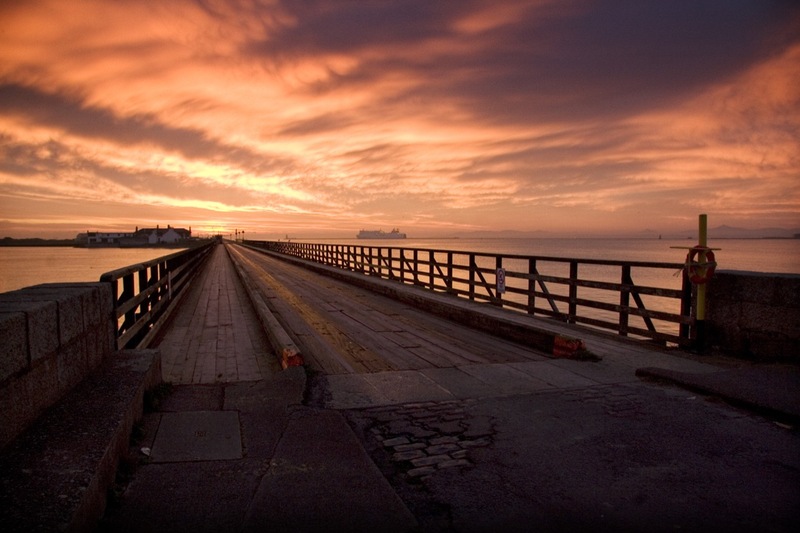 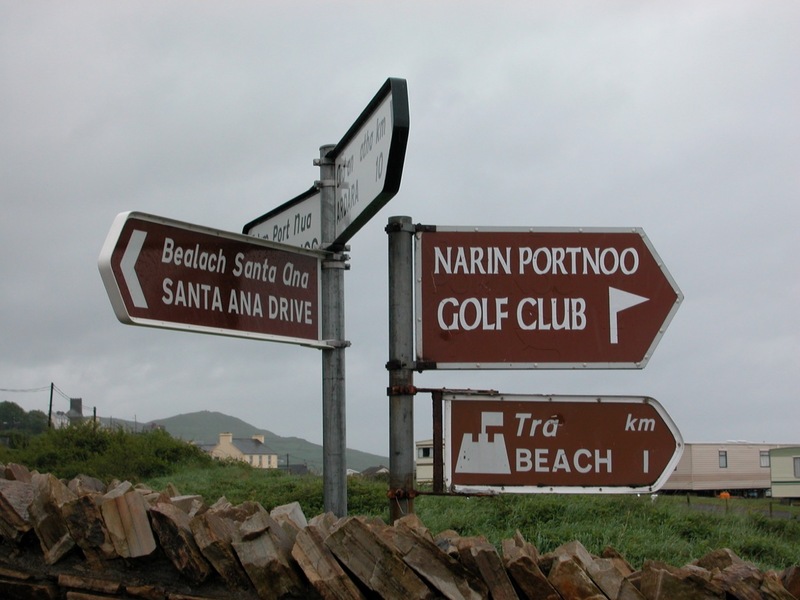 Once you cross the wooden, one-lane bridge that leads to Royal Dublin Golf Club, you enter an environmental haven, where golfers are kept separate from the many giant hares living around the links. 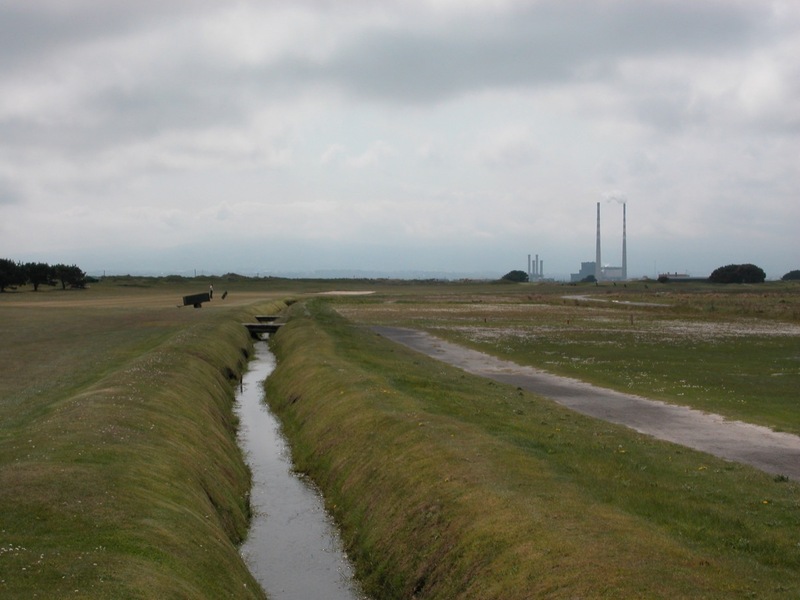 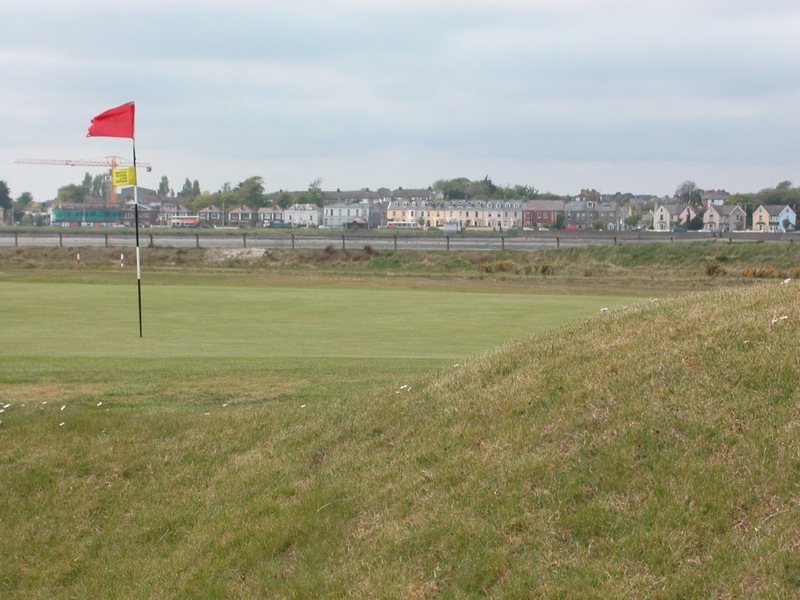 One particularly sensitive area at Royal Dublin is off-limits to golfers, but that doesn’t mean it doesn’t play an integral part in the defense of the course! 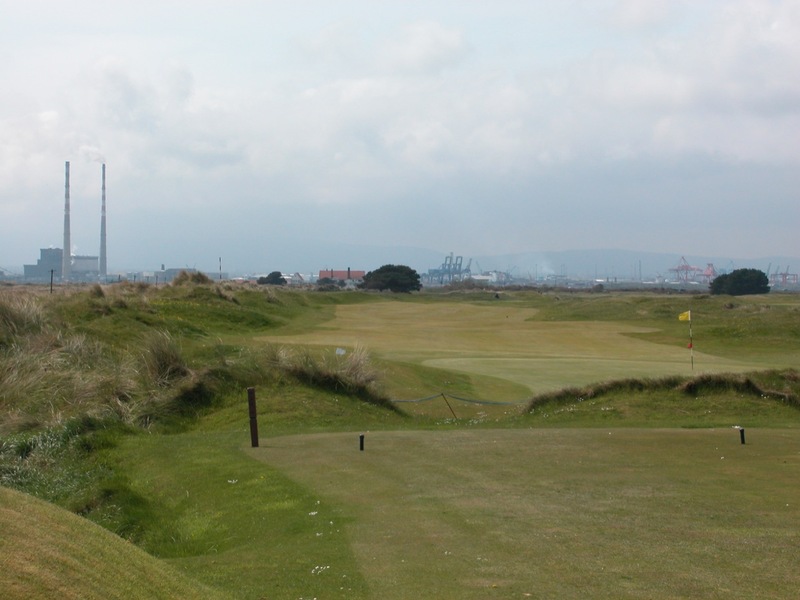 This is the corner of the 18th, “The Garden,” a sharp, nearly 90-degree dogleg right and the most famous hole at Royal Dublin, with anything right of the fairway considered out-of-bounds. 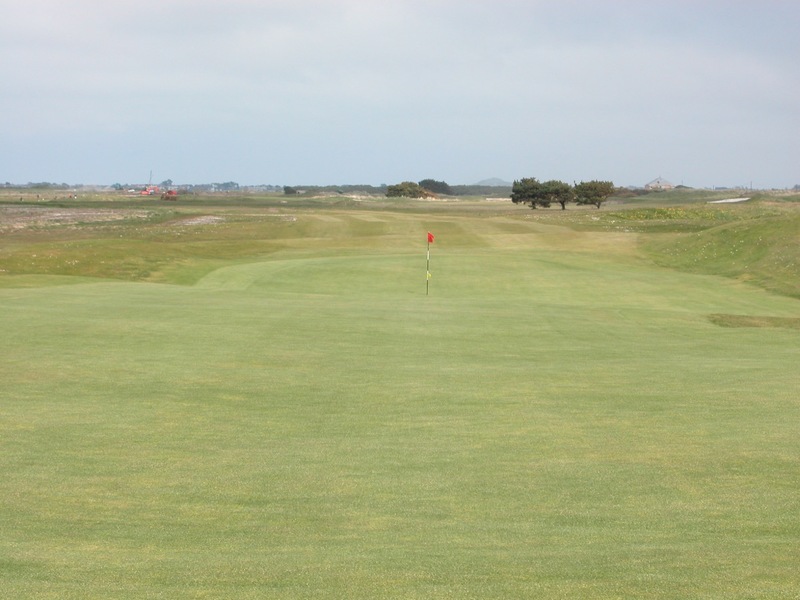 In fact, the approach must carry the O.B., before hopefully landing safely on the large home green! 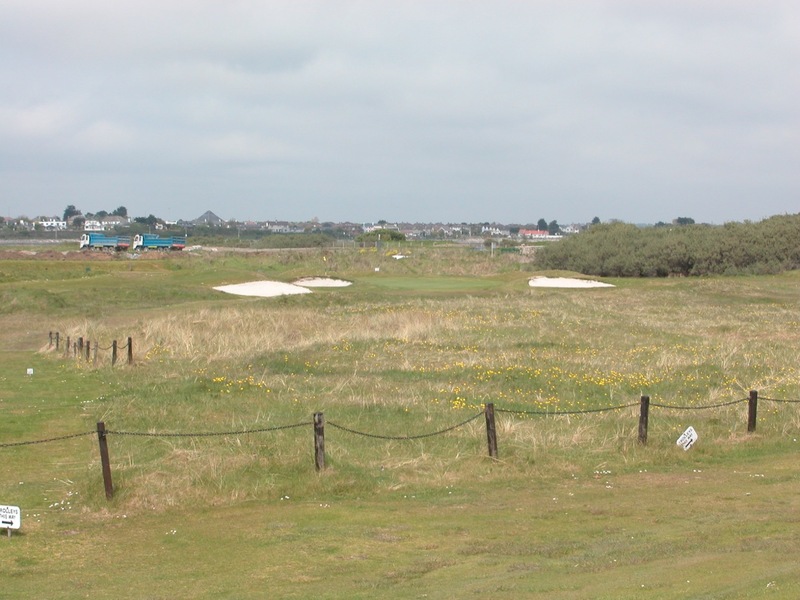 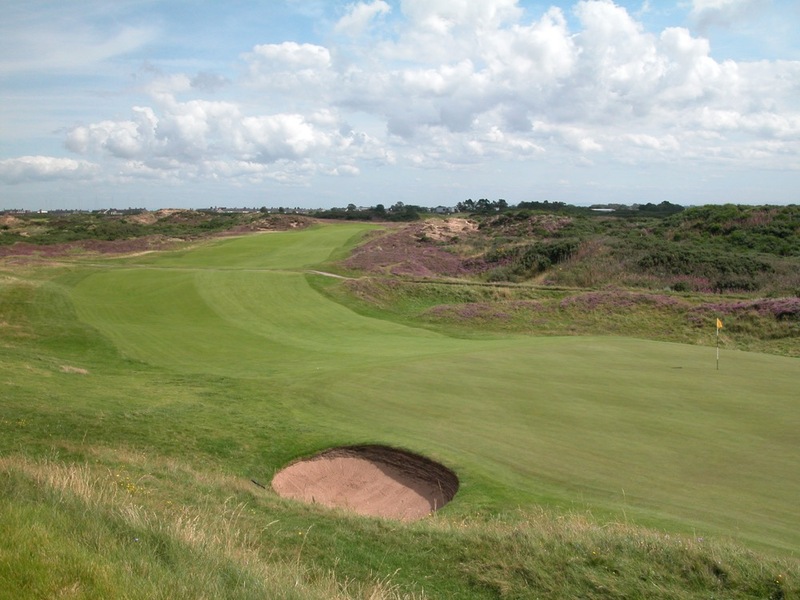 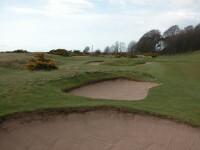 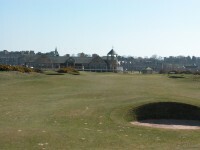 Seve Ballesteros won the Irish Open here, birdieing the 18th in a memorable playoff against Bernhard Langer. 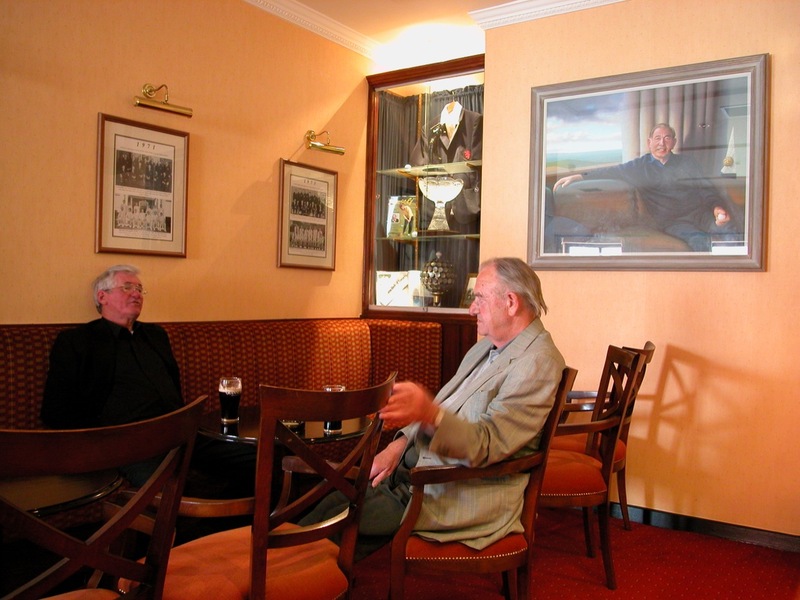 Royal Dublin Golf Club is a tough test of golf, but the best part of visiting the club arguably comes after the round, when you can enjoy a pint in the Christy O’Connor Bar, one of the best 19th holes in Ireland, upstairs in the classic clubhouse, surrounded by his memorabilia.